This is Brazilian author Paulo Coehlo’s first novel, and the precursor in many ways to his more famous work, The Alchemist. In The Pilgrimage, Coehlo narrates the journey he undertakes to travel the road to Santiago de Compostela. He must make the pilgrimage as part of his initiation into a spiritual society, and to find and be allowed to possess a mystical sword. He is given a guide on his journey, who teaches him various meditation and spiritual awareness exercises. 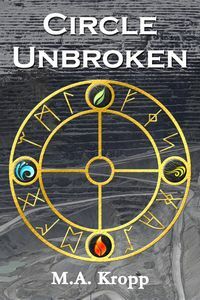 They encounter trials and tests, as in any spiritual journey, and Coehlo must learn to leave most of his perceptions and expectations aside to learn the true meaning of his journey. Sounds deep and a bit hokey, yes? Well, in some ways it is. But there is a lot of truth in this story, and while some might not relate completely to the overtly religious tone of the tale, there are simple, everyday truths in here that anyone can benefit from. Coehlo has a way of telling these stories that captures you and transports you to his world. He uncovers and relates fundamental truths in ways that stick with you. Coehlo quotes are used often to illustrate basic human ideals. It’s not necessarily an easy book to read. There is a lot of detail and it is very overtly religious in tone. But it is also not a long story, and generally can be read in a few hours (or days, for the slower readers among us- like me). I enjoyed it and I think if you lean toward the philosophical and religious, you would, too.